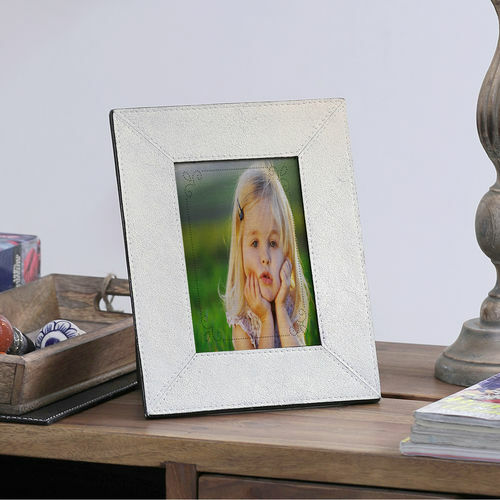 A symmetric pattern of silvery rectangles provides antiquity and an immemorial charm to this resin photo frame. 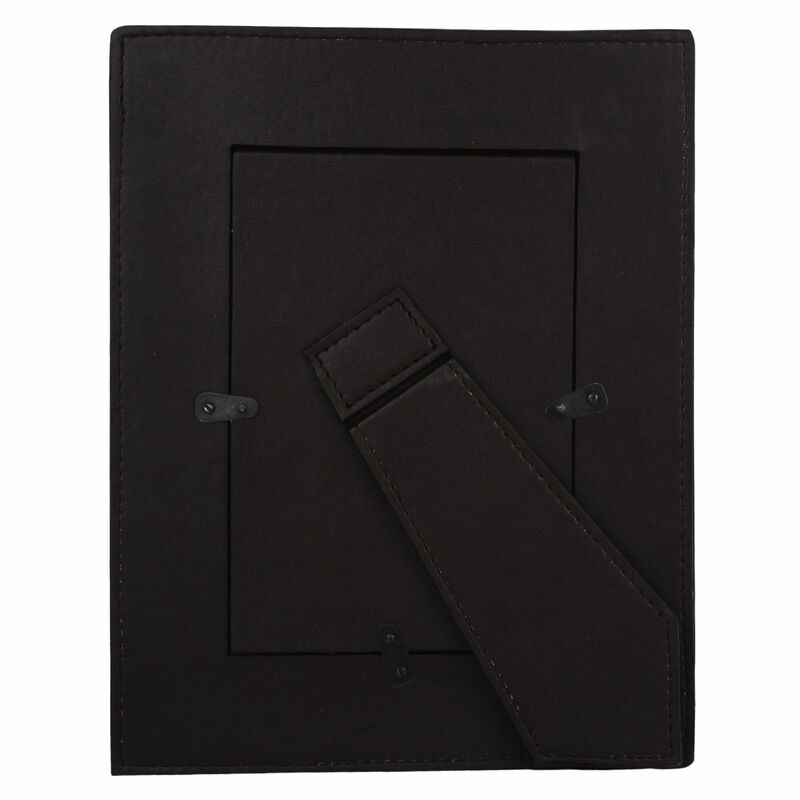 At a moderate 10.5"x8.5", 0.5 kilograms, it can be used for most photographs especially those sized at 8.5"x6.5" and should be placed in the vintage section where it is easiest to bring back the memories of the good old days. 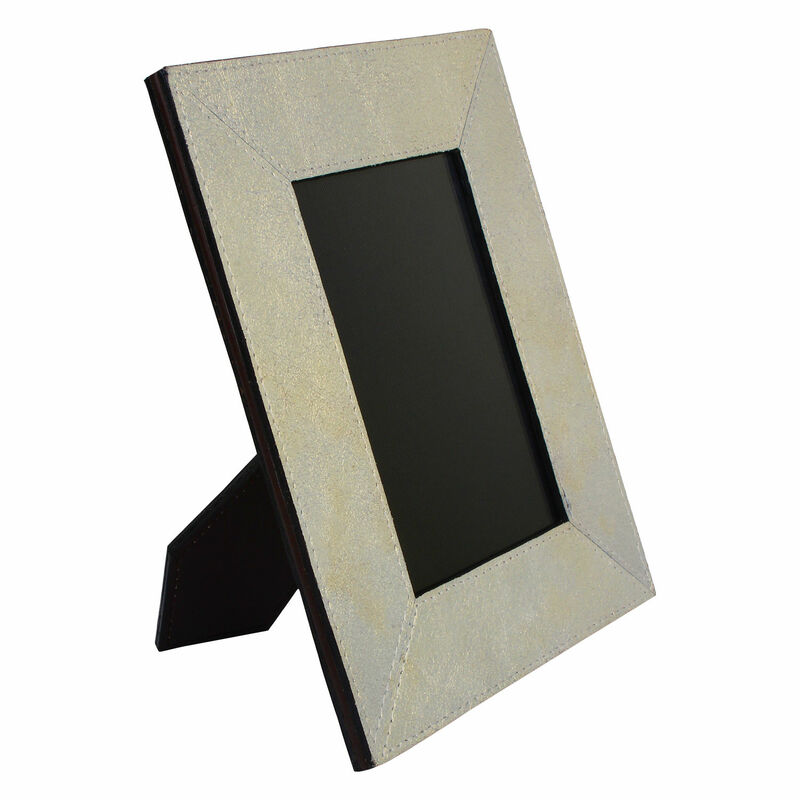 The dimensions of this photo frame are - Material Type : Leather, Photosize :8.5x6.5 Inches, Frame : 10.5x8.5 Inches, Care and Cleaning : Wipe With a Wet Cotton Cloth, Back Material: Plastic, Finish: Mother of Pearl, Shape: Rectangle, Colour: Gold. The simplistic appearance will blend beautifully with the decor of any home making it a must have.